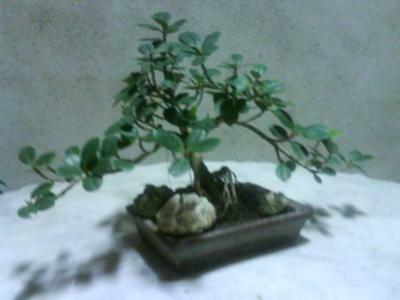 well, let me clarify that little issue as a beginner, you see i may not be exactly a beginner at it, since the fact that its already my 8 yr as a bonsai enthusiast and have a wide collection of delicate hard to grow species such as the pemphis acidula, serissa foetida, and bougainvillea and the likes , so " a beginner " i think not, i only joined this site because of giving some inspirations to those with the same history as i am, not a teacher taught me, my teacher is myself, therfore many trees I do experiment, i learned how to marcot by just myself, see my youtube video when you search on "bonsai marcotting",its from A through E, though not a beginner, that tree is one of my early creations. I've been invited over by top bonsai experts in RP, to join in as a member, but still having tough decisions to make. Do go to wuchabonshudosiy.blogspot.com to check out my photo stream on my early pics of my works, though only taken in 3.10.2009, it was already existing since 2002, have not got the chance to upload it on the net that's all...That is only the set A...do look to that site because i will be uploading the second of the set taken just this january 2010... See Yah! well done for you as a begineer. thanks for the comment on my work. i did so many trees here, and please do put constructive remarks on it.